Internet access has evolved to become a given, as society loves to be connected and, as a result, wireless has wildly succeeded as a technology. Open Internet access is a feature people tend to find appealing since many of the mobile gadgets produced today are designed to be Wi-Fi enabled. Businesses have rapidly realized the potential market appeal of society’s desire to be constantly connected and have been integrating ways to use wireless in their marketing strategies. Many companies have found including wireless as a promotional effort is a successful way to entice consumers, and can effectively boost the business through offering free Wi-Fi. Use the word ‘free’ and consumers are bound to take notice. 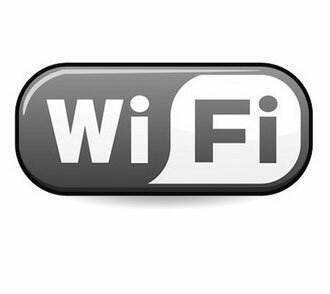 Free Wi-Fi is a perk that consumers will not only be attracted to, but enjoy and linger in order to use the product or service being offered. In the long run, customers spending extended amounts of time in an establishment creates a potential to increase sales through enticing perks. As people surf the ‘Net while sitting in a shop or restaurant, they are likely to buy additional drinks, snacks or other products/services while spending time on the web. Most of the companies that offer Wi-Fi are food retailers, however the strategy can succeed in other types of businesses as well. From the doctor’s office to the barbershop, although persons might have appointments, more often than not, schedules do not run to time – they have to wait. By providing free Wi-Fi access, organizations can show that they value their clients’ time, and allow them to still be productive while they wait for their appointments. For those who might not be as busy, Internet access can also be welcomed distraction while they wait. Businesses offering free Wi-Fi can monitor and track customer behavior online, and thereafter, prepare more targeted incentives and strategies to increase sales. Although most persons might be uncomfortable with this, depending on the country and its laws, persons or businesses can be held liable for illegal online activities occurring on their premises. Hence it is advisable that providers of free Wi-Fi do monitor online activity, and that they remind prospective users of their right to examine the traffic. As Wi-Fi becomes a given, consumers are likely to come to expect to receive free Wi-Fi and those businesses that do not offer it are probably going to find themselves losing a competitive edge. In the meantime offering wireless is bound to be a great way to boost business.